Using protein powder for maintaining a healthy body composition continues to be enjoyed by many people worldwide, whether for bodybuilding or weight loss. As its name suggests, protein powders help a person pack on protein that in turn will provide extra nutrients for the body. Alternatively, they can also be used to control hunger pangs, making it easier to lose weight. 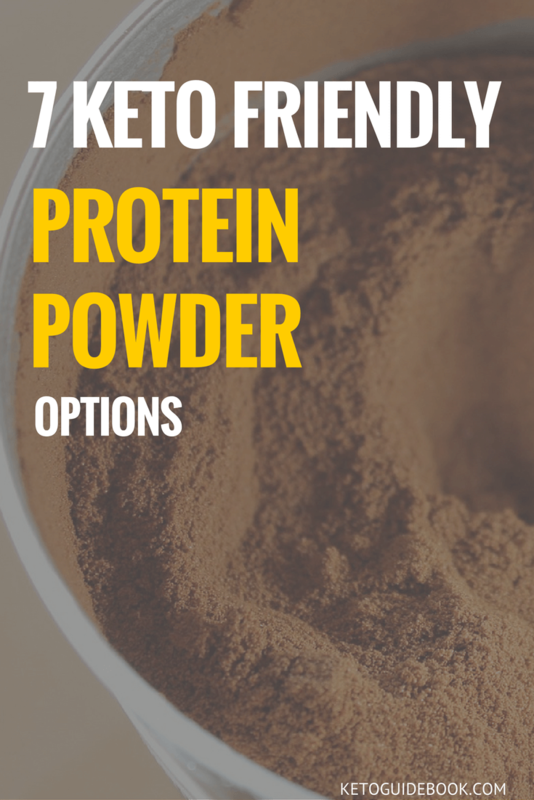 While the ketogenic diet is an adequate-protein diet, protein powders are still a benefit, as long as you find the right ones. Of course, it’s all too dizzying for a first-timer, really. After all, there are hundreds of products to choose from, and while all aim for one thing, they all differ in more ways than one. So where and how do you start your keto protein shake journey? Let’s look into seven of the best keto-friendly protein powders and focus on each product’s most important elements so you can start complimenting your keto diet with the best protein shake. The thing about Perfect Keto Collagen is that it acts more like a supplement. It’s also one way of increasing your collagen intake and has MCT oil powder, a specific type of fatty acid, which promotes healthy weight loss. The way it’s formulated is distinctively different from other options. Compared to other brands, Keto Collagen has lower protein content but higher in fat. But if you use two scoops, it compensates with the amount of protein other brands have. Albeit different, this type of balance works well for ketosis, and with the addition of MCT oil, keto levels are effectively increased. While Keto Collagen has other products in its line, this specific product comes in one flavor only. The product has good reviews and high ratings among users. Its macronutrient distribution is well-balanced. The product is specifically developed for ketogenic dieters. It comes in a tiny packaging. It has less protein content. The product is a bit pricey. 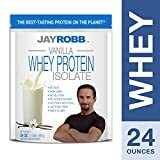 One of the most commonly listed keto source, Jay Robb’s protein powder is a common mixture of many different kinds of diet recipes. It not only works wonders for the body, but those with lactose intolerance can benefit from this as well. As you may have already guessed, most of the nutrients found on this option are derived from eggs, so you will have to get your other vitamins and minerals from another source. It does contain stevia, non-GMO sunflower lectin, xanthan gum and natural flavorings, which means it mixes well if used as an ingredient and does not leave a weird taste in the mouth. In what seems to be a drawback, this option does not contain any fat at all. Fat is needed for ketosis, so reaching your macro target could be difficult. Still, a lot of people seem to view this product as favorable. Jay Robb Egg White Protein Powder is available in three flavors: vanilla, strawberry, and chocolate. It contains stevia instead of the usual artificial sweetener. The listed ingredients are very few. It’s a viable alternative to whey protein. Its available flavors are quite common. 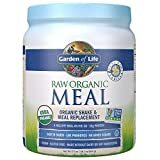 From the name of the product itself, Garden of Life’s protein powder is 100 percent organic and is gluten-free, dairy-free, and soy-free. It’s what makes this option attractive to many people, in addition to its delicious flavors: vanilla chai, vanilla, chocolate, and the unflavored variant. A quick glance at its ingredients list shows that it contains vitamins and minerals essential for the ketogenic diet, which is why it receives a lot of positive reviews from purchasers. However, a number of users also find its flavors not quite pleasing, but of course, there’s no way of pleasing everybody. It’s worth noting though that the negative reviews this option receives are from the older versions of the product. The company seems to have altered the taste one way or another, although, they didn’t exactly make any announcements about it. It has enzymes and probiotics. Its nutritional value is high. It’s the perfect keto partner and also suits other dietary methods and/or programs. Some reviewers have left a note saying that the taste and texture of the product aren’t as impressive compared to other options. For those who are on a plant-centered diet, Vega would make a perfect choice. The protein content in this option is plant-based, along with kale powder, quinoa sprouts, and spirulina, a blue-green algae that can improve lipid and glucose metabolism, while also reducing liver fat and protecting the heart. Even among non-vegans, Vega is a popular choice it doesn’t have the chalky texture that most brands tend to have. It combines well with water and there three available flavors that are all pleasant to the taste buds: mocha, vanilla, and chocolate. The drinks made out of Vega aren’t exactly a replacement for a full meal. However, you will be able to get some vitamins and numerals as it has about 25 percent contribution to our daily requirement. A true vegan supplementation, Vega is both gluten-free and non-GMO. It is a popular choice among consumers with fairly positive reviews. It is the perfect choice for vegans. The range of flavors is limited. As the name implies, this product contains no absolute carbs at all and what took its place is pure whey protein isolate. This product is a mixture of both natural and artificial flavors, together with essential vitamins and nutrients, xanthan gum, and soy lectin. Aside from having 16 different flavors, the shakes are both gluten-free and lactose-free, making it a perfect choice for those with allergies. Take note of each flavor though, as its protein content could have a different serving. Even so, Isopure has more protein per serving than most options, so it also works as a meal replacement shake. Approximately 50 percent of your daily intake of a range of nutrients and vitamins can be acquired from Isopure shakes. It is marketed as a no-carb shake. It can be taken by allergy-prone people. Its ingredients include artificial sweeteners. It lacks fat content per serving. Naked Whey’s selling point is its lack of additives. If you try the unflavored option, you’ll notice that it solely contains grass-fed whey and has no additional sweeteners, flavors, or colors. Apart from the unflavored variant, other flavors include vanilla, strawberry, and chocolate. However, the flavored ones have a significantly higher carb content, so those practicing the ketogenic diet should only consume the unflavored option. 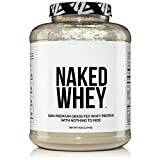 Naked Whey is essentially what you want if you don’t want anything else on your protein shake but protein. One drawback though is, it requires a bit of a hefty sum compared to other options. It only lists one main ingredient. It is both soy-free and gluten-free. This product has no additives. Some reviewers have noted that the powder takes too long to dissolve. The unflavored option doesn’t taste too good. Relatively new in the market, BPI Sports is quickly becoming a favorite for its keto-friendly products. 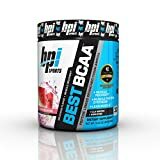 For such an affordable price, BPI can compete with other brands that have dominated the market for a while now. In their ingredients list, the company claims that only three grams of carbohydrates are found for each 33-gram serving. Additionally, the product is lactose-free. BPI Sports also has the coolest flavors; you wouldn’t think it’s actually protein shake. Some of them include peanut butter candy bar, chocolate brownie, s’mores, and banana cream pie. Keto dieters will love the fact that BPI leaves no unusual aftertaste. It is 100 percent whey protein. The product has very little fat content. Ketogenic diets differ, according to their purpose. People who want to shed some pounds follow a keto diet that is entirely different to what’s being followed by children with epilepsy, who need as much as 90 percent fat, or by bodybuilders, who need more protein. For this reason, talking to a health professional is necessary for you to adjust to your specific macro that will suit your needs. Should you decide to try keto protein shakes, make sure your protein consumption is in check because too much protein will kick you out of ketosis. What these shakes can do is to make you feel full, which in effect will stop you from giving in to the temptation of snacking. Since most of the products listed above are made of natural ingredients, you’re assured that your keto diet is undisrupted. In choosing a keto protein powder that works for you, remember that the best source you can bet on is that from whole foods. Through this, you’ll be able to acquire the full spectrum of amino acids and nutrients. If you work out a lot, you can also take keto protein supplements. Whatever your reason for adhering to the principles of the ketogenic diet is, remember that you won’t be able to reach your goal if you are too stressed. When our body is in a state of distress, our body excretes a hormone called cortisol, which is the one responsible for messing up your metabolic rate. Since you are on a diet, you might as well be consistent with what it entails you to do and enjoy the whole thing in order to achieve better results. And one more thing, make sure your keto protein shake of choice is heaven for your taste buds. The experience will be remarkably different.